SS manual Butterfly Valve for dairy, beverages, brewery and food industries. Can be fitted with unions at both ends. Sizes ranging from 1" to 3". SMS, DIN standards. 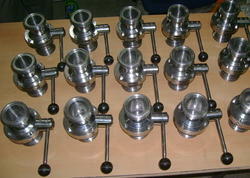 SS 304/316 plug valves, 3-way or 2-way type with investment casting. 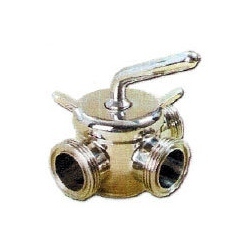 Extensively used for manually controlling or diverting the flow in the pipe lines. SS Fitting material offers an exceptional durability and excellent chemical resistance. 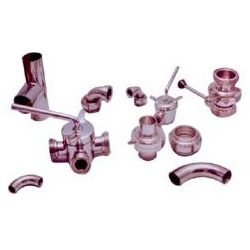 These fittings are very easy to disassemble and also for cleaning purpose. All are autoclavable and reusable.